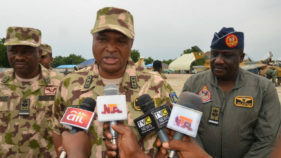 Prof. Kingsley Moghalu, the Presidential candidate of the Young Progressives Party, (YPP) says Nigeria’s security issues are compounded by the nation’s porous borders. 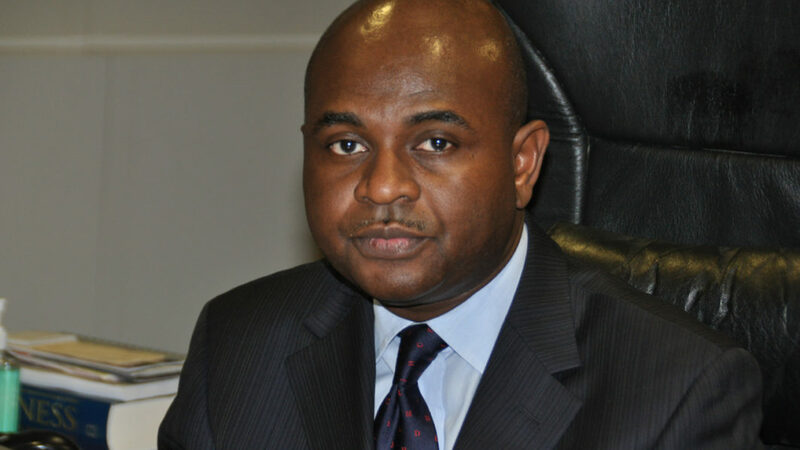 Moghalu, a former Deputy Governor of the Central Bank of Nigeria, (CBN) said this at an interactive session with newsmen at the Workstation, Victoria Island, Lagos on saturday. He said that Nigeria had lost significant part of its territorial control at the borders which must be addressed. “We need to properly demarcate our borders and man them efficiently, using combined border security forces. “Our borders with Chad, Niger, Cameroun and Benin are so porous that we have so many non citizens troop in daily, commit crimes and leave undetected,“ he said. The presidential candidate warned that if not handled well, it might affect the conduct of the 2019 general elections, adding that INEC might not be able to hold elections in volatile areas. Moghalu also reiterated the need for the Nigeria Police Force to be reformed and more personnel recruited to reinforce the efforts of the force in checking break down of law and order. 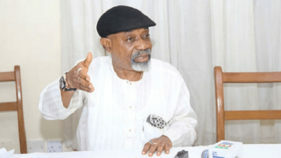 On the minimum wage demanded by the organised labour, the YPP presidential candidate said that the Nigerian economy could not,currently, sustain a minimum wage above N30,000. 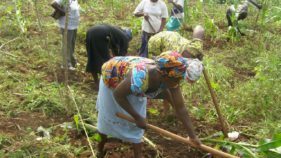 ”Paying a minimum wage of over N30,000 now will create massive inflation in the country. “I stand with labour unions in their demand, and I also know that N18, 000 minimum wage is poverty wage, however in handling the economy, care must be taken to avoid decisions that may crumble it. “If Nigeria has constant electricity alone, it will have tremendous positive impact on the economy,” he said. On the 2019 general elections, Moghalu said that inducement would play little or no part in deciding who wins.According to him, some politicians may want to buy votes but Nigerians cannot be fooled any longer into selling their votes.